If you live in Anaheim or Corona and are considering upgrading your kitchen, start with the cabinets. Once you decide on the look of your new cabinets, this will form the foundation of the rest of the project. Whether you choose Shaker white or a deep cherry for your kitchen cabinets in Anaheim, all other elements will revolve around your cabinetry and fall into place. Create depth in the room by using a variety of cabinet sizes and doors. You can maintain uniformity by making them all the same color or mix and match colors, such as pastels. Wrap your cabinets around a corner so it can double as a bar. Now you can enjoy your company while playing host and preparing meals. Embrace the natural feel of wooden cabinetry, creating depth by adding dark hardware. Add texture to plain white cabinets by adding beadboard for an artistic touch. Pair traditional white cabinets with wooden bar stools to create a clean but rustic feel. Contrast light wood cabinets with a dark tiled backsplash. Install a kitchen island with cabinets underneath for plenty of counter space for preparing meals without taking away from your storage. 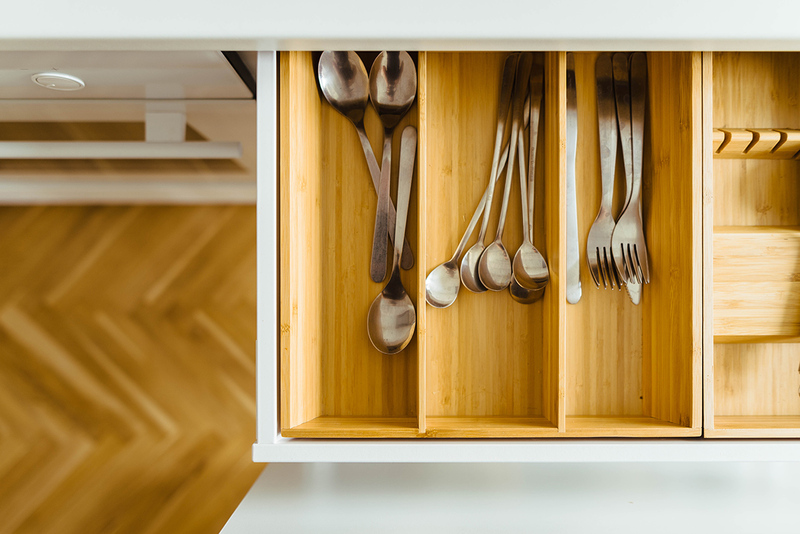 Once you’re done sprucing up the main cabinetry for your kitchen, now it’s time to get down to the details that can really pull the whole look together. Need some inspiration? From hardware to accents, check out these amazing kitchen cabinet ideas for your Anaheim house. You can achieve a sleek, minimalist look for your kitchen without breaking your budget. Horizontal pulls are streamlined accessories that form a linear direction to create an optical illusion of a wider and more elongated space. An ideal alternative for minimalist “push-to-open” cabinets and horizontal pulls, these are clear, transparent, and seem invisible from afar. Go with bar handles or squares for a tidy, classic look. If acrylic handles are too light for you, try mixed metallic handles, matching your kitchen cabinet handles with your faucet for a uniform appearance. Try a polished nickel and aged brass combination – a hot look right now. Another great look is gold hardware on white cabinets with marble counters. If you love your spices, you need to keep them protected and organized. Were you aware that light, moisture, air and heat affect the quality of your spices? They should be stored in a dry and dark place. Install a sliding spice rack in your kitchen cabinets for easy access and organization. On the whole, shallow cabinets provide the ideal space to store your spices and condiments. Your overhead lights are great for illuminating the room as a whole, but you’ll also need task and detail lighting for your countertops so you can chop, cut, and prep with ease. Now, you’ll have fewer shadows, with lighting focused on your workspace. Plus you’ll save money as LEDs last longer and use less electricity than incandescents. 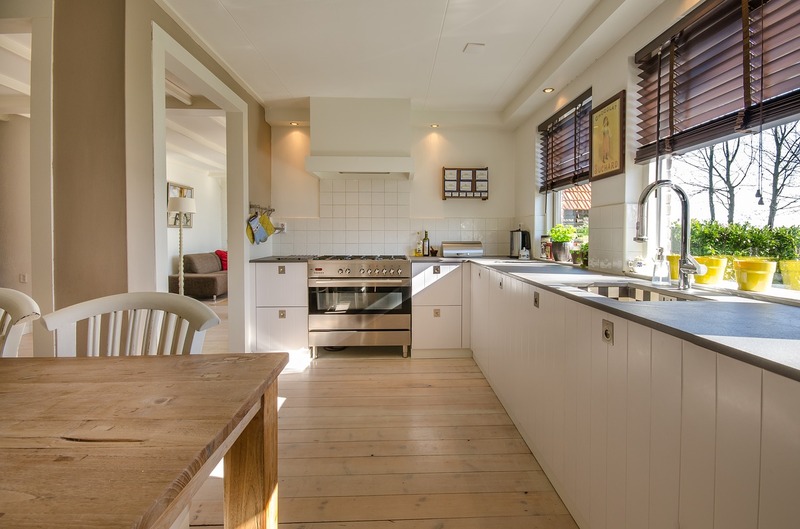 To further illuminate your kitchen, introduce a combination of white cabinets, counters and kitchenware to reflect off the natural light and brighten up your space. When it comes to finish options for your new kitchen cabinets in Corona CA, there are seemingly endless possibilities to choose from. Whether you like the natural look of plain hardwood or a rich, deep cherry color to bring out the elegant tones of the room, finishes abound in all types, styles and colors. Not sure where to start? You’ll first have to consider the style of your kitchen, what finish would best complement it, and what your budget allows. Perhaps you adore the wood you’ve chosen for your cabinetry and want to showcase it. In that case, staining is a great idea. This will give it a nice color and sheen yet allow the natural grain and texture of the wood to shine through. You can choose solid color stains that hide imperfections or you can choose more transparent stains that show off the wood’s natural beauty. Whether you simply need a refresh on existing cabinets or you’re completely replacing them all, stain is an ideal option that matches virtually any style. But just because you’re staining doesn’t mean you should skip the glaze. Glazing highlights the one-of-a-kind features inherent in the design of your cabinetry. It’s basically a transparent coating used after stain or paint has been brushed on, adding more depth and character to the look of your cabinets. As you may already realize, the installation of new cabinets can get expensive, which is why many homeowners opt for updating their existing cabinets a fresh coat of paint. With many colors available, your options in terms of color and style are far reaching. However, you can’t just slap on a coat of paint and call it a day. First, you must sand off the previous finish completely and then clean the cabinets. Only then can you apply the paint. You could also top off the paint job with glaze as you would with stain. Just be aware it may soften the look of your chosen color. A trendy paint option these days is to apply a distressed, vintage look with milk paint. This type of finish does indeed contain milk, which acts as a binder. It’s a non-toxic and environmentally-friendly paint finish that gives your budget a break as well. Other affordable options include polyester and lacquer finishes, available in anything from matte to high gloss. You can apply this easily with a sprayer to ensure even coverage. However, this finish requires more maintenance than the other types. High gloss is increasing in popularity, a trend last seen in the 1970s. It’s ideal for a contemporary kitchen with flat cabinetry fronts more so than for a traditional kitchen. Also known as ultra-high gloss or 100 percent gloss, this type gives off a shiny finish that reflects light, most popular in white gloss kitchens for its modern appeal. Hardware will provide the finishing touches to your kitchen cabinets in Corona CA. This is a small yet crucial detail that can make or break your whole set of cabinets. You may want to go with darker hardware if you have a lighter finish and metallic hardware for a darker finish. From round pulls to full door handles, you have many options available to you in terms of hardware. This is where your style can truly come out. Summit Cabinets has a full line of both custom kitchen cabinets and RTA kitchen cabinets in Anaheim and Corona CA, all at affordable wholesale prices to save you money. We give you a variety of finishes, colors and wood types to choose from as well. Fill out our online form for a free kitchen design.